It was in 1817, under the reign of Louis XVIII that Pascal Dartigalongue was born. 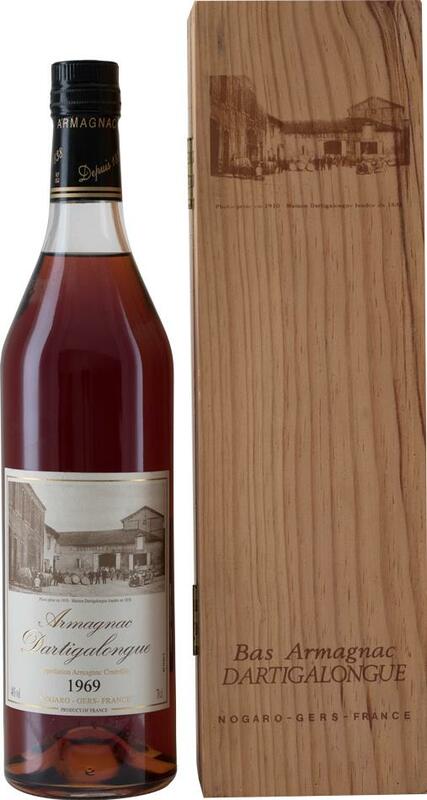 Coming from a family of winegrowers based in Saint Lannes near to Madiran, he spent his childhood in the heart of the vineyards surrounded by wine and Eau-de-Vie (the name of Armagnac at that time). In 1838, under the reign of Louis Philippe, he settled down in Nogaro. 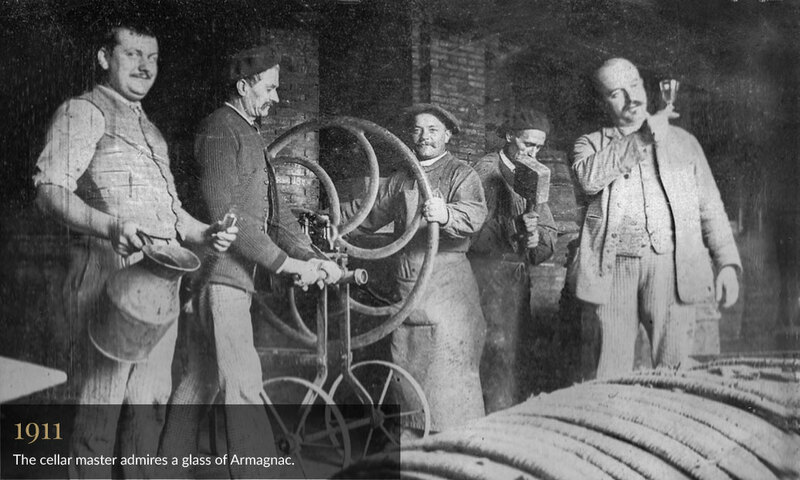 His beginnings were hard, but very quickly he understood that Armagnac was a product for export. 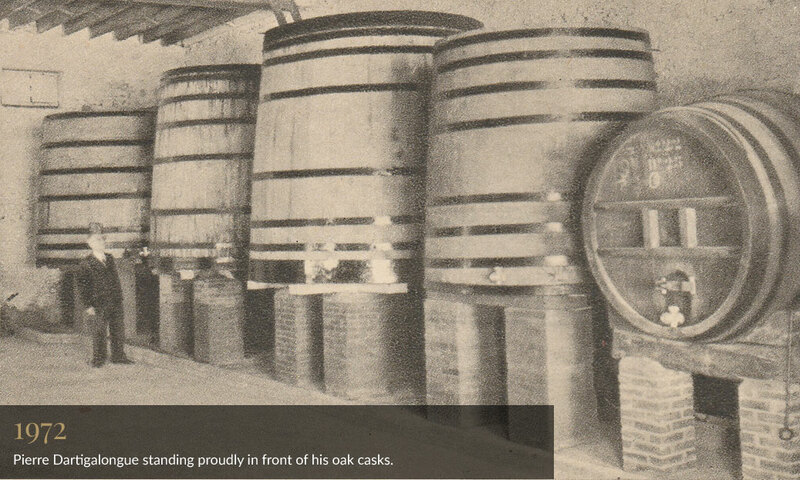 His Armagnacs, sold in barrels, found markets in Belgium, Holland, England and even already in the USA. His business prospered, and sales flourished when in 1870 his nephew Joseph took over. This change saw a rapid progression for the house, helped by the creation of the railways. 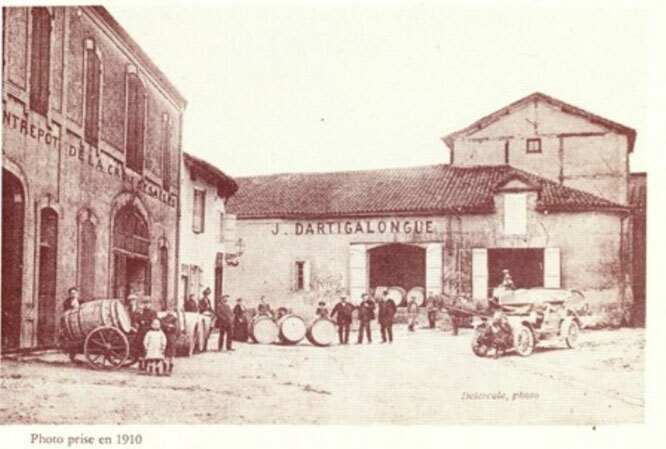 The export sales of Armagnac were no longer reliant on the port in Bayonne. In the 1890s, France's economy was flourishing: Paris became an important financial center, and the consumption of spirits was never as influential. Joseph, whose health was fragile, decided to pass on the company to his two sons André and Henri. Right in the middle of the "Belle époque" André set up an agency to represent the company in Paris, while his younger brother Henri stayed in Nogaro to manage the production. This strategy was a great success, as in 1906, the vintage DARTIGALONGUE Armagnacs were on the menu at the Café de Flore, the Edouard VII, the Café Riche, and many other prestigious and luxury Parisian hotels. A very young Pierre, Henri's son, took charge of the company in 1930. He grew the bottle sales first in France and then on the export markets. In 1936, Pierre was very successful in the USA and regularly traveled on the transatlantic line from Le Harve-New York. He signed a partnership with one of the most important New York distributors that lasted for several decades. After the Second World War, Pierre continued to develop the American market and started to also tackle Europe with the countries of Belgium, Holland, Sweden, and Norway. In the 1980s, he entrusted the reins of the house to his son Jean-Pierre and his daughter Françoise. Jean-Pierre developed the European markets (Spain, Italy), then the USA in the early 2000s. Françoise was responsible for structuring the sales in France to the gourmet wine and grocery shops, delicatessens, and restaurants, reinforcing the image of the DARTIGALONGUE brand nationally. In 2010, Françoise DARTIGALONGUE, then at the head of the company, convinced her niece Virginie's husband Benoit Hillion to leave his job as an agronomist in Paris to settle in Nogaro and take over the business. He took part in many different trade fairs and found new partners in Japan, Australia, Russia, and China. In parallel and continuing Francoise’s work, he also travels around France meeting customers, wine and spirit merchants, and restaurateurs that are more and more numerous in their appreciation of the DARTIGALONGUE history.